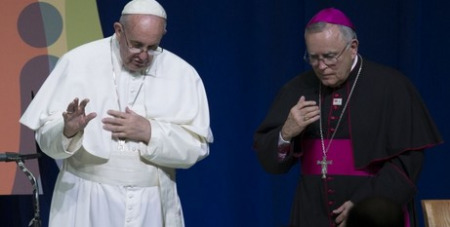 Archbishop Charles Chaput of Philadelphia has been named as chairman of the committee of US bishops working on the implementation of Amoris Laetitia, according to a tweet from a senior Vatican correspondent. Confirmation of the news, by Francis Rocca of the Wall Street Journal,would send a signal on the question of admitting divorced and remarried people to Communion. This was a reference in particular to Germany, where the bishops’ conference has been largely in favour of Communion for the remarried in some circumstances, and where Mass attendance has fallen steeply.